June 12, 1913: Engineering News editorial. “What Is the Matter with Irrigation? As those of our readers familiar with the conditions of engineering work in the far West are only too well aware, irrigation enterprises are, comparatively speaking, at a standstill. This is not because of lack of opportunity. There are still plenty of places where, by the construction of reservoirs that could store the spring floods, land which is now worthless desert could be converted into fertile and profitable fields. But when the enthusiast who sees the possibilities of such a situation goes to a banking house in the East and asks it to finance the work, he is met with a reception compared to which a journey of polar exploration would be tropical. It will not do to blame the banker for this, because he knows by experience that irrigation bonds are today practically unsalable. Not a few banking houses have suffered in purse and in reputation because of the irrigation enterprises which they have financed in the past. 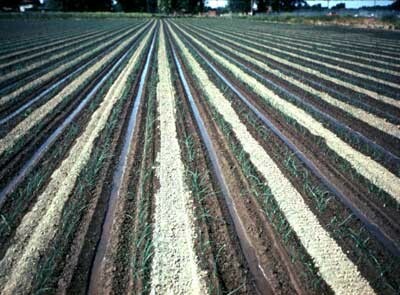 It is worth while asking, therefore, why irrigation is unprofitable. It is true that many irrigation projects have been run by irresponsible men who have sought merely to sell stocks and bonds with little care whether the purchasers ever received any return or not. This, however, is only a part of the explanation why irrigation securities are shunned by investors. Wild-cat mining stocks innumerable have been sold in all parts of the country; but a valuable mine or valuable mining stock is not thereby rendered impossible of sale. Commentary: The inability to privately finance irrigation projects in the West ultimately led the federal government to lead the way in this effort. This entry was posted in This Day in Water History and tagged finance, irrigation, water, water history on June 12, 2013 by safedrinkingwaterdotcom.